A report from the Factum Foundation - Cross River Monoliths: Metropolitan Fragment, Conference and Site Visits - describes its collaborative effort with the Trust for African Rock Art (TARA) and the University of Calabar (UNICAL) in March 2018 to preserve the Cross River monoliths developed through two significant milestones in the project: the photogrammetric recording of the top half of a monolith in the Metropolitan Museum of Art, New York, and the successful completion of a conference hosted by the Department of History and International Studies at UNICAL. In addition to this, a short period of fieldwork contributed to the survey of the major monolith sites begun in October 2016. 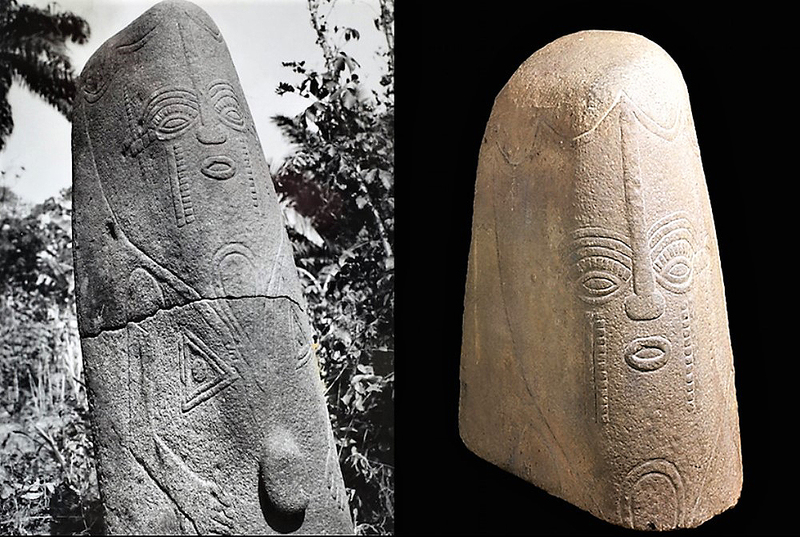 Photograph of Ntitogo monolith in Allison's survey and in the Metropolitan's collection. 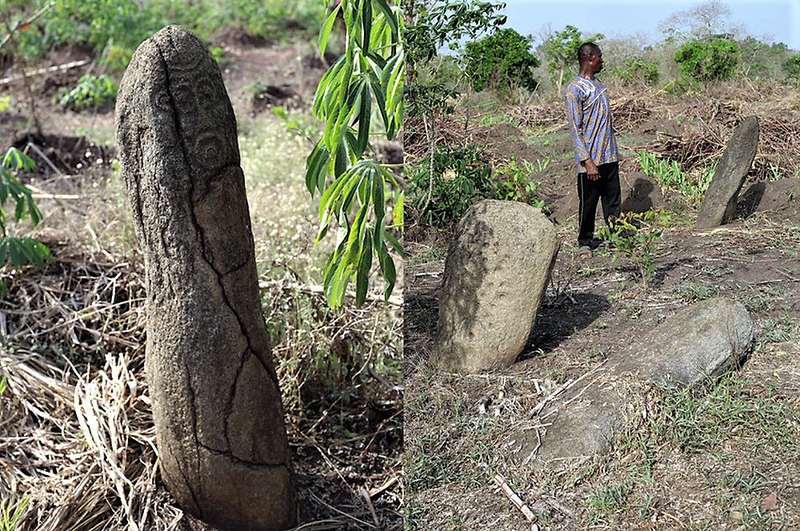 Included in the 2015 online publication of the paper 'Cross River Monoliths: in critical danger of total destruction' by Dr. Ivor Miller and Dr. Abu Edet was an image of the base half of a monolith pictured amidst the ashes of a recent fire. It was subsequently identified among the photographs from the survey carried out by Philip Allison in the early 1960s with its top half attached (though with the large crack that would have enabled its separation clearly evident) at a site identified as 'Ntetakor', an incorrect rendering of the actual name 'Ntitogo'. Circulation of this image online led the to the recognition of the top half of the monolith in the Metropolitan Museum of Art, New York, where it entered the collection as part of the bequest of Nina and Gordon Bunshaft, who in turn had acquired it from Fatou Touba M'Backe Gallery, New York, in 1985. Research thus far has been unable to locate any information about this gallery, but it is likely that the fragment would have left Nigeria at some point in the late 1960s or early 1970s (during the period of the Biafra conflict and its aftermath), before entering the international antiquities market. 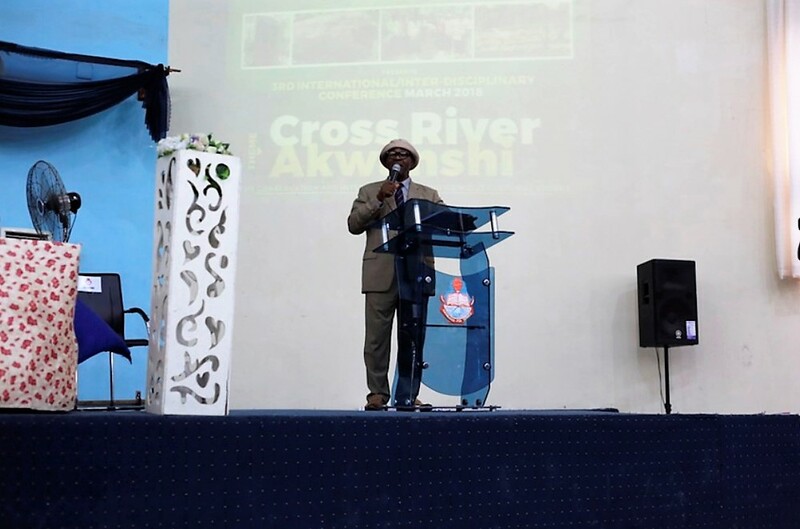 The two day conference on the preservation of the Cross River monoliths brought together leading Nigerian and international experts to discuss the subject. The defining refrain was the lamentable disinterest and total lack of support within the Nigerian government for the conservation of the monoliths and their sites. Deputy Vice Chancellor of UNICAL, Prof. Uche Amalu. Immediately following the conference, the team journeyed to the Bakor region to update community leaders on its outcome and the general progress of the project, as well as to visit remaining sites. The team visited three more monolith sites to survey the condition of the stones: Manden, Eting Nta and Oyengi. Manden is important on account of its monoliths being carved out of limestone rather than the usual basalt. Sadly, the monoliths are almost entirely destroyed and the site has been subsumed by yam plantations and consequently it is periodically burnt to clear vegetation. Of the 20 monoliths photographed by Allison, four upright/leaning carved monoliths remain, although in extremely poor condition and likely to crumble imminently.